"Mambo No. 5" is one of those songs you couldn&apos;t escape when it came out, the "Call Me Maybe" of 1999. Lou Bega and his stable of international women—Angela, Pamela, Sandra, and Rita among them—rode the song to the top of the charts and into the history books. Two years later, however, the hype had faded, and Lou Bega moved back to Germany, a decision that would alter the course of his life. But he always stayed with music. Lou Bega&apos;s last album Free Again came out in 2010, and he&apos;s still writing songs, with new material on the horizon for 2017. We caught up with the German singer from his home in Berlin, where he lives with his new family—Lou was married in Las Vegas in 2014. He has been actively touring Europe for the better part of two decades, and he hasn&apos;t looked back. 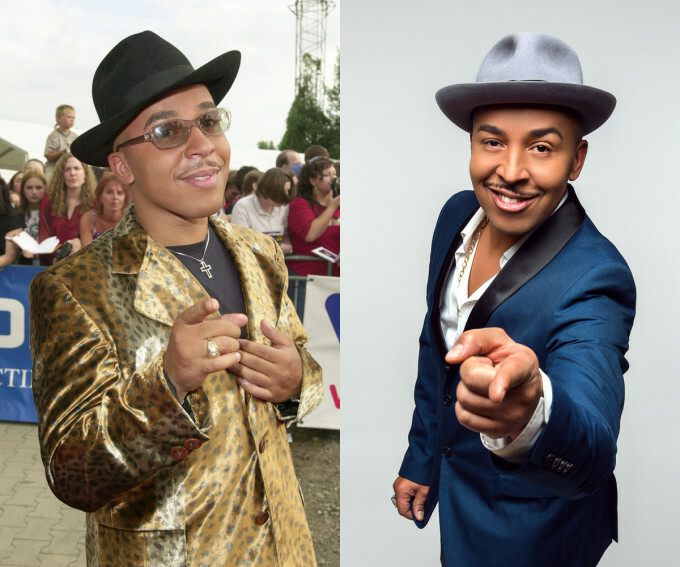 The dream is still alive, and even if you don&apos;t hear him on the radio as much, Lou Bega is working harder than ever. What&apos;s coming up for you in 2017? All kinds of stuff. There’s new music coming out, I cannot say what it is right now. It&apos;s connected to the changes that I have been going through in the last year. I know you got married in 2014, congratulations. Has that inspired those changes at all? Marriage always changes things—sometimes for the worse, hopefully for the better, which was the case for us. The womanizer in me died, I think. You cannot write those kind of lyrics anymore. It must be tied to your spirit, somehow. Right now, I’m going in another direction. I wanted to go back to the beginning for a moment. You started your career as a rapper, when did you first start rapping? That was in 1988. I was 13 years old, and that was the beginning of mainstream rap. I was young, I liked it, it was beautiful, I was just a kid trying to replicate what was out there. At that time, I had two things I was rapping about. One was about being a cool kid, and bragging—that’s what it was like in the ‘80s. And then it the ‘90s it got more gangster, but I never got on that wave. That’s not my personality. But I wrote some raps, and got in the studio, that’s how I got my first check from music. I NEVER EXPECTED HUGE SUCCESS, I JUST WANTED PEOPLE TO BE HAPPY, INCLUDING MYSELF. Was there ever a moment before “Mambo No. 5” when you thought about giving up music? I never was the type to give up, but I lost a bit of hope. I always enjoyed it, and at the end of the day I knew that would be enough to be okay. I never expected huge success, I just wanted people to be happy, including myself. That was my faith, and I kept it. And is always the case when you keep it, you will get there. Not to say I didn’t walk through the desert, but that’s the challenge. What was the moment where you knew you had made it? Wetten, dass…? was the largest European TV show. I don’t know what the U.S. counterpart would be, but it was like 20 million people watching the show. I was the only act they invited back twice, and all the greats were there—Michael Jackson, Tina Turner, they were all there. That was my first TV show, and the next day the album sold something like 150,000 copies. You sampled Pérez Prado on “Mambo No. 5”—how did you find that song? Had you grown up with it? I heard it first when I spent a year in Miami as a teenager, when I was almost 16. Two years later when I was back in Germany, I was looking for a good style to do, and it came to my mind. I freestyled on it, and we did a little melody on top of it, and it sounded great. I didn’t want to copy, I wanted to be my own unique little brand. More recently, you’ve been traveling a lot, playing the international circuit. How does the U.S. market compare to Europe or Asian markets? Well, the thing is, a long time ago I had to make a decision. 9/11 happened, and that was the year my second album came out. Of course, no one wanted to hear these happy songs. I needed to make a decision—once you are in the U.S., you basically can work Canada, the States, and Latin America. Or you go back to Europe, and you have Europe and parts of Asia. I couldn’t fly Europe to America, Europe to America. That’s not the kind of guy I am. Most of my family is in Europe. And that year, I made the decision that would change my future on a level I couldn’t foresee. So I’m much more available in the European nations—I still go to the U.S. occasionally, but it’s rare. As we saw with Kanye West last week, that kind of travel can really wear someone out. I was the hardest-working guy for two years, I knew it was not good for your spirit. I was always a spirit person, and it really broke down my flesh. So I asked myself, what’s more important? Are you going to go for 50 million dollars, or is five million enough? I’m a simple guy, I need relationships. So I made that decision very consciously, that I would not give in to more success and more success. Even those two years were enough—traveling, not sleeping, not eating right, all of these symptoms. There’s so much tragedy alongside the success. From my two years in Hollywood, there’s so much stuff that never came out. There are people that basically just breathe it, that are hopped up on medication… it’s one of the hardest jobs out there, because it takes away your humanity. It brings you down to a level that has nothing to do with reality. Sometimes it’s good to break out. IT&apos;S ONE OF THE HARDEST JOBS OUT THERE, BECAUSE IT TAKES AWAY YOUR HUMANITY. IT BRINGS YOU DOWN TO A LEVEL THAT HAS NOTHING TO DO WITH REALITY. With that in mind, what kind of advice would you give to a young artist getting into music now? Choose wisely. Know before you get in, what is your price? Know it. You have to set a price, otherwise you’re going to lose yourself. Like a racehorse, you can win a few battles, but in the end you’re going to break your leg, and the guy with the gun is going to come and shoot you in the head. I’m putting it in dramatic words, but that’s the picture. I met Amy Winehouse way back. My music is retro, her music was retro, she had a major album, I had a major album around the same time. But I think she was sensitive to that kind of success, that level of success. That’s what I’m saying, there’s no one that can take such a rocket blast, it’s just impossible. [The Kanye West situation] is a very interesting story, but it’s not major news. We’ve seen this before. 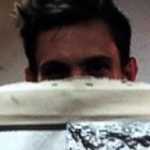 Featuresmusic industryLou BegaWhere Are They Now?